Here is the sweetest Fairie Dress ever! 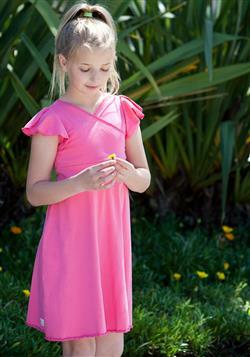 Shown here in the blush colour 95% organic cotton /5% stretch fabric. Purple colour shown in smaller version photo.